The Blessed Virgin Mary is a beautiful, beloved, essential and pervasive figure in Christian life and in the Church’s calendar. She has been since the early days of the Church. Her feasts are as varied as the cultures of the world, with each having special traditions, customs, and habits of piety. For example, the Church honors Mary every Saturday, recalling both the one full day that Jesus spent in the tomb and the traditional belief that Mary was the disciple who best kept the faith on that day. The early Church took up the practice of keeping faith with her on that day each week. Since the Middle Ages, the Church has devoted the month of May to Mary. Many parishes have “May Crownings” during this time in which a statue of the Blessed Mother is adorned with a diadem or a wreath of flowers. Many Christians also undertake pilgrimages during this month to shrines associated with the Blessed Virgin. In May, there are also three Marian feasts that are celebrated which help us to understand what Mary can teach us about being disciples. The Feast of Our Lady, Help of Christians, which is celebrated today, May 24, is an older feast, dating back to the to the sixteenth century, which was not a peaceful time in Europe. In 1571, Catholics throughout the continent joined in praying the rosary in hopes of prevailing over Muslim military forces that had long sought to expand into Europe. These prayers were answered at the Battle of Lepanto on October 7, 1571, which is now the feast for Our Lady of the Rosary. Both of these feasts highlight not only the strength we find in asking Mary’s intercession, joining our prayers to her intercession, but also the confidence that God continues to act in the world. God hears the cry of those who suffer and God responds. The third Marian feast for May is the Visitation of the Blessed Virgin on May 31. We remember how Mary journeyed to the home of her kinswoman Elizabeth to care for her as the birth of her son, John the Baptist, drew near. In the greeting that is so beautifully recounted in the first chapter of Luke, Mary first announces the arrival of the Messiah to the people of Israel as she prays what is known as the Magnificat. “My soul magnifies the Lord and my Spirit rejoices in God, my Savior” (Luke 1:46). This is a prayer of joy and of confidence that, in staying close to Christ, we are never alone. These celebrations, like all Marian feasts, are really celebrations of Jesus Christ, for she has no privilege that she has not received from God. In these days, we learn how to stay close to him in prayer and through the practice of charity, such as caring for a relative in a time of need, with confidence that our prayers will be answered. 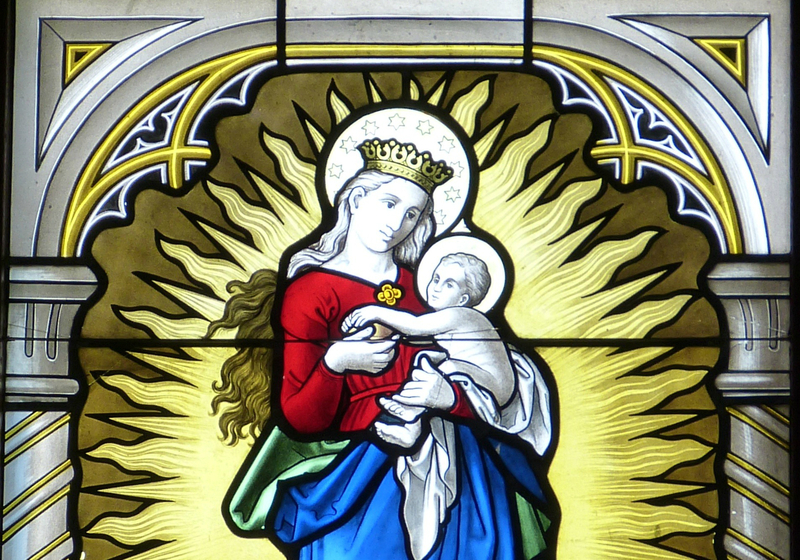 To rejoice in Mary is to celebrate God’s greatest creation – the vessel he fashioned to be his own mother, the woman who would bear him into the world. In the life of the “handmaid of the Lord,” we learn what it means to say “yes” to life in the Lord and to discover in him the meaning of life. With maternal love for us, Mary wants what is best for us – she wants Jesus for us, so she urges us, “Do whatever he tells you” (John 2:5). Then she helps us as we lead others to know and love her Son too. Her feasts not only empower us to turn to her in prayer, but also to love Jesus and others with a greater love. To learn more about these and the other Marian feasts, I invite you to see the book that my long-time collaborator Mike Aquilina and I wrote, entitled, The Feasts: How the Church Year Forms Us as Catholics (2014).